We will ask you when we need information that personally identifies you (personal information) or allows us to contact you. Generally, this information is requested when you are asked to register, ordering e-mail newsletters, joining a limited-access premium site, or when purchasing our products. Personal information collected by Xavier & Associates often is limited to e-mail address, first name, last name or company name. We use your personal information for four primary purposes: To make the site easier for you to use by not making you enter your personal information more than once. To help you quickly find software, services or inform Xavier & Associates on the Site. Xavier & Associates will disclose your personal information, without notice, only if required to do so by law or in the good-faith belief that such action is necessary to: (a) conform to legal requirements or comply with legal process served on Xavier & Associates or the Site; (b) protect and defend the rights or property of Xavier & Associates . and its Site, and, (c) act in urgent circumstances to protect the personal safety of users of the Site, or the public. When you register, or otherwise give us personal information, Xavier & Associates will not share that information with third parties without your permission, other than for the limited exceptions already listed. It will only be used for the purposes stated above. Xavier & Associates may send out periodic e-mails informing you of information you requested. You will, of course, be able to choose to unsubscribe to these mailings. Xavier & Associates strictly protects the security of your personal information and will honor your choices for its intended use. 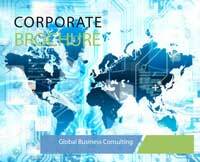 We carefully protect your data from loss, misuse, unauthorized access or disclosure, alteration, or destruction. Your personal information is never shared outside the company with any third parties without your permission, except under conditions explained above. 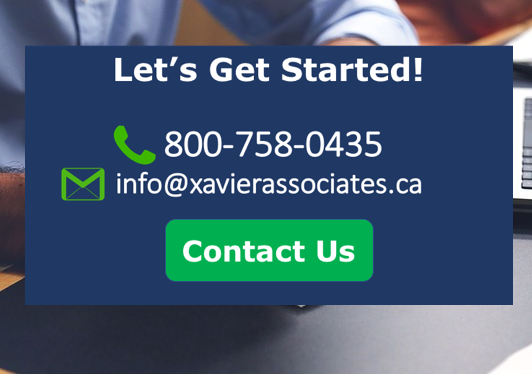 Your information may be stored and processed in Canada or any other country where Xavier & Associates, its subsidiaries, affiliates or agents are located. To ensure we are publishing content customers need and want, Xavier & Associates collects aggregated site-visitation statistics using cookies. We do not track individuals’ use of the site. Web beacons, also known as clear gif technology, or action tags, assist in delivering the cookie. This technology tells us how many visitors clicked on key elements (such as links or graphics) on a Site page. We do not use this technology to access your personally identifiable information on the Site; it is a tool we use to compile aggregated statistics about usage of the Site. We do not share tracking information outside of Xavier & Associates and do not allow other companies to place clear gifs on our sites. If you choose to not have your browser accept cookies from the Site, you will be able to view the text on the screens, however, you will not experience a personalized visit nor will you be able to subscribe to the service offerings on the site. Xavier & Associates will occasionally update this privacy statement. When we do, we will also revise the “last updated” date at the top of the privacy statement. For material changes to this Statement, Xavier & Associates . will notify you by placing a prominent notice on the Website. Xavier & Associates welcomes your comments regarding this Statement of Privacy, please contact us by e-mail or postal mail.